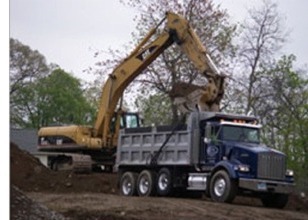 JCM Services, Inc. excels over other contractors in that we provide our own hauling of construction debris, soils/dirt, aggregate material, etc. We follow and abide by all Department of Transportation safety guidelines which insures that when our trucks are transporting debris, they are loaded at the legal limits and insures the public our equipment is safe and in compliance. At JCM Services, Inc., we offer a competitive price and always guarantee our work. We can do this because of our highly skilled and qualified team that is dedicated to doing a quality job as efficiently and cost-effectively as possible. We are not satisfied until we have completed each job to our customers’ satisfaction. Our services are available for projects of any size and our expert team has the knowledge and expertise to get the job done right the first time.